Angie Bisset was reading when she first heard the strange sound. She would later describe it as either a gargling or vomiting noise. 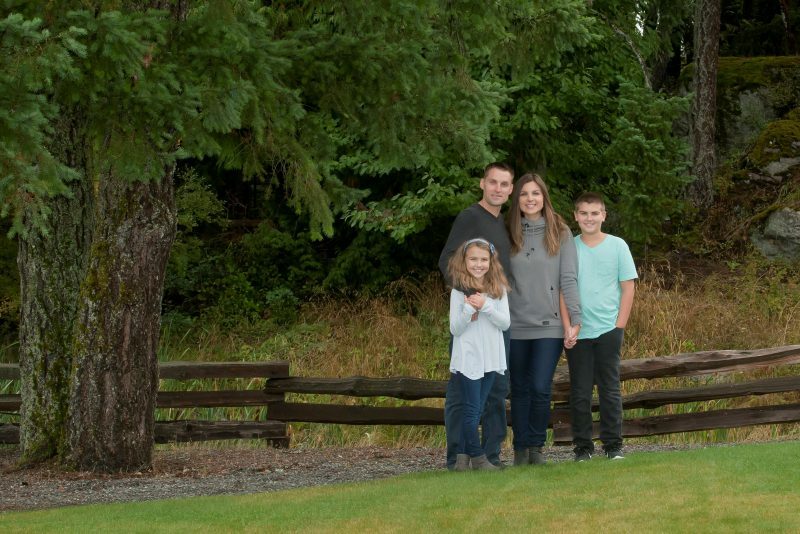 When their golden retriever started barking and running back and forth from where her husband Martin was working out in their Nanaimo home, she decided to go check. What she found was terrifying. By the next day, the 39-year-old Martin would be helicoptered to Royal Columbian Hospital for a neurosurgical procedure to save the life of the father of two. A CT scan at their local hospital discovered a ruptured brain aneurysm. Martin was suffering from a hemorrhagic stroke. It’s fatal in close to half of all cases. From Nanaimo, Martin was rushed to Victoria. He was brought to the intensive care unit as plans were put in place to fly him urgently to Royal Columbian Hospital and neurosurgeon Dr. Navraj Heran. In Fraser Health, all these cases are treated by Dr Heran without requiring invasive surgery to open the skull. Utilizing an innovative procedure that is only performed at a couple of hospitals in the province, Dr. Heran guides a catheter through a small incision in the thigh all the way up to the site of the aneurysm. He then uses small coils to fix the problem. “Basically we put those coils into the aneurysm so it congeals the blood inside the weakness,” explains Dr. Heran. Angie says the procedure took no longer than an hour, and they soon shifted their attention to Martin’s recovery. He stayed at Royal Columbian for just over two weeks, and both he and Angie have developed a strong appreciation for the care they were provided. Just over a year later, Martin continues to recover from complications including fatigue and eye movement challenges. Overall, however, he feels thankful.